The MARAZZI Artea Stone 13 in. x 3 in. Avorio Porcelain Bullnose Floor and Wall Tile combines a classic look with modern performance and practicality. 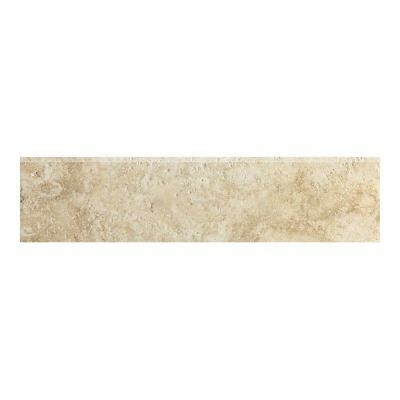 The rustic-style, textured tile has dramatic veining and looks much like travertine marble. It is suitable for use on heavy-duty floor installations, and it can be used indoors or outside. The frost-proof tile is abrasion- and skid resistant. You can buy this product in our internet market. We will be glad if you make the right choice.